How Do I Use Castor Oil for Acne? Sebaceous glands produce sebum – the natural oil that keeps skin moisturized. When the sebaceous glands produce too much sebum it clogs pores and causes acne. These swollen, red breakouts typically appear on the face, back, neck, and chest. Acne is also caused by hormonal fluctuation, stress, bad hygiene, poor diet, medications, and the accumulation of other impurities—such as dirt and make-up—in the pores. Commercial acne treatments are easy to find, but they often cause side effects that lead to more acne. Why bother with those when you can treat acne safely and effectively with something as simple as castor oil? Is Castor Oil Good for Acne? We’re about to tell you how to use castor oil to treat acne, but first, let’s take a look at why it works. Castor oil is a natural astringent that cleanses skin, drawing out dirt, oil, bacteria, and other toxins that cause acne. Castor oil reduces the appearance of scars. Castor oil stimulates the production of collagen, which hydrates skin. The triglyceride fatty acids in castor oil are anti-viral, antibacterial, and anti-septic, so they kill the bacteria that cause acne. The ricinoleic acid in castor oil reduces inflammation, swelling, and redness. It has omega 9 fatty acid that helps to fight against the bacteria that cause acne. Castor oil inhibits the growth of harmful microbes that cause acne. Castor oil is a rich source of anti–oxidants, vitamin E, and other vitamins and minerals that promote skin health. Massaging skin with castor oil improves circulation, which discourages future breakouts. The undercylenic acid in castor oil disinfects skin and kills bacteria that cause acne. It also removes clogged dead skin cells. It acts as anti – fungal and anti – microbial agent that helps to get rid of fungal and bacterial infections. Castor oil can be used alone or in combination with other natural ingredients that benefit the skin. Below you will find several methods for using it to fight acne. Try them all until you find the one that works best for you. Fill a soup pot with water and bring it to a boil. Turn off heat, drape a towel over your head. Lean your face into the steam for 5 minutes to open pores. Soak a clean towel in warm water, wring out excess, and use to massage face gently for 5 minutes. Pour 1-2 teaspoons castor oil on the soaked cloth and massage face in gentle circular motions for 1 minute. Rinse with lukewarm water and pat dry with clean towel. Splash with cold water to close the opened pores and pat dry again. Use fingertips to apply 2 drops castor oil all over face and leave on over night. In the morning, wash with with a mild face wash followed by mild exfoliating cleanser. In a bowl, mix 2 tablespoons castor oil with 1 tablespoon olive oil. Use fingertips to apply oils to skin in a thick layer. Leave on 30 minutes or over night. Repeat nightly to cleanse the clogged pores and thereby acne. Camphor oil contains anti–oxidants that rejuvenate skin, and almond oil contains nutrients that keep skin healthy. In a bowl, mix ½ cup castor oil, ½ cup almond oil, and 1 teaspoon camphor oil. Wash face with mild cleanser and pat dry. Use fingertips to massage oil mixture into skin. In the morning, rinse with lukewarm water and pat dry. In a bowl, mix equal parts castor oil and almond oil. Turn off heat, drape a towel over your head, and lean your face into the steam for 20 minutes. Use fingertips to gently massage oils into affected skin. In the morning, rinse with water to close the skin pores. Repeat nightly to treat and make skin healthy. Grapeseed oil helps regulate sebum production. In a bowl, mix equal quantities castor oil and grapeseed oil. Stir in two drops tea tree oil, lemongrass oil, and neem oil or Indian lilac oil. Apply on the face and neck by concentrating more on the acne prone areas. Gently massage oils into skin for 5 minutes. This process helps to break up the acne and dissolves makeup and other grime on the skin. In the morning, soak a washcloth in hot water and wring excess water. Place this cloth on face and repeat this for 3 times. Wipe the excess oil and use a cotton ball to apply apple cider vinegar as a toner. Repeat daily to get rid of this acne. Test plain castor oil on a small patch of skin before using this method. If it causes discomfort or irritation, don’t use it. This method is especially effective for cystic acne. Wash face with gentle cleanser and pat dry. Use fingertips to gently massage a few drops of castor oil into affected skin. Leave on one hour, then rinse with cool water and pat dry. Repeat two times a day. Once your skin is used to this treatment, try leaving castor oil on overnight. In a bowl, mix 1 teaspoon castor oil with 3 teaspoons jojoba oil. Splash face with water and gently massage oil mixture into skin. Soak a washcloth in hot water and place it on face for a minute. Splash face with cool water and pat dry. In a bowl, mix 3 teaspoons castor oil with 7 teaspoons organic coconut oil. Bring a pot of water to a boil, then turn off heat. Drape towel over head and lean into steam for 5 minutes. Wash with mild cleanser and pat dry. Repeat nightly to get relief from acne. In a bowl, mix 3 teaspoons castor oil with 7 teaspoons sunflower oil. With fingertips, gently massage into skin using circular motions. Leave on 10 minutes, then remove with wet washcloth. Hydrogenated castor oil is pure, organic castor oil that has the consistency of wax. It is used in many cosmetics and is considered an effective acne remedy. Black castor oil, or Jamaican Black Castor Oil, is extracted from roasted castor beans. In theory, the ash contained in black castor oil makes it more effective. It slows the production of sebum, and it is rich in phytochemicals and fatty acids that keep hair and skin healthy. Hydrogenated and black castor oil can be used in the same ways as explained in method 1. Castor Oil Steam Cleanse but should only be used 2-3 times a week. For best results, follow the advice below when using castor oil to treat acne. If you notice rashes, itching, burning, or other irritation, stop using it and consult a doctor. Castor oil is a main ingredient in many commercial acne soaps. First wet your face with warm water ans soap with tap water. Massage the face with soap and rinse with warm water and followed by cold water. Use minimally refined organic castor oil to ensure maximum effectiveness. So always use cold pressed castor oil or pure castor oil. Because castor oil has a high viscosity, it is easier to use when diluted with carrier oils. Remember to do a patch test to find out if you’re allergic to castor oil. Oil cleansing methods do not work for everyone. In some cases, they exacerbate the problem. If you have not noticed adverse effects after 2-4 days of use, start using your preferred castor oil cleansing method twice a day. If you find it difficult to remove castor oil from your skin, wash it off with a mixture of baking soda and water. If your complexion does not improve within 6 weeks, consult a doctor. Castor oil can be found at most grocery stores and pharmacies, but make sure to use an organic brand. Dry skin requires a different amount of castor oil than oily skin. Experiment with different amounts until you find the amount that works best for you. As with any other acne treatment, castor oil cleanses will be most effective when combined with a healthy diet, regular exercise, and good hygiene. Avoid sugar and carbohydrates, eat plenty of fruits and vegetables, and drink plenty of water to flush toxins from the body. Have you tried any of these methods for using castor oil to treat acne? Tell us which ones worked best for you! whichever brand you choose make sure it is organic and cold compressed. I just got some caster oil and tea tree oil, Not sure how to use them both in my regimen. 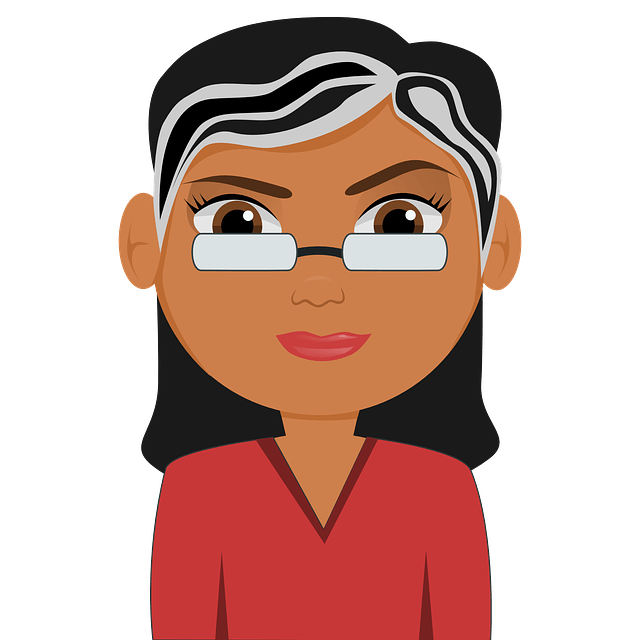 How can I use caster oil and tea tree oil? Add 2 – 3 drops of tea tree oil into 1 teaspoon of castor oil. Apply the mixture on the acne. Leave it on overnight and rinse in the morning. Repeat the process 2 – 3 times in a week until you achieve the results. Hi..I have black spots..I just got castor oil and olive oil..how do I administer it to my face.? And also how can I use it to achieve hair and beard growth? Combine equal amounts of castor oil and olive. Apply the mixture on black spots and rinse it off after 15 minutes. You can apply the same mixture on hair and beard. Massage it for few minutes and leave it on for an hour. Rinse normally with shampoo and water. How to castor oil n coconut oil combined ? Combine 3 teaspoons of castor oil and 7 teaspoons of coconut oil. Take a facial steam for 5 minutes and pat dry. Massage the mixture on the acne affected areas. Leave it on for 20 minutes to overnight. Wipe off with wash cloth and rinse with mild cleanser. Repeat the process daily to get rid of acne. Can we apply castor oil on face in the mornings instead of moisturizing cream? Does this cause a negative effect? Yes, you can but as the viscosity of castor oil is high you may feel the application greasy. Make sure you apply only enough amounts of castor oil to avoid clogging pores. I have tried everything to get rid of my acne and acne scars and the only choice left was castor oil. 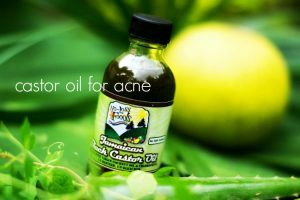 I use Jamaican castor oil every night, first washing my face with warm water to open up my pores. Then i apply a little of the oil on a cloth and apply it to my face. In addition i started eating fruits and vegetables and drinking a lot of water and i already see amazing results the first week. I mix my castor oil with organic honey, olive oil, and milk, then add to cooked oatmeal and add some cinnamon and turmeric. Creates a weird smelling oatmeal. I use it as a face mask every other day *AFTER washing my face with warm water to open my pores* and it works wonders. It may seem like a lot of ingredients, but you can mix the liquids in large batches and simply shake again before adding to the oatmeal and spices. It’s definitely worth it. It’s also okay if you don’t have one of the ingredients, just adjust a bit to make up for the thinness or thickness lost. After washing with warm water and doing the mask, rub the oatmeal around a bit before rinsing off and rubbing face again gently with cold water to close pores. Can castor oil be used in combination with turmeric? ?